A driver involved in a fender bender is now facing charges of reckless driving, unlawful wounding and hit and run. 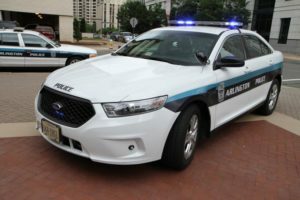 The crash happened on the 2400 block of S. Kenmore Street, in the Nauck neighborhood. Police say Maryland resident Brunilda Lopez struck the other driver involved with her car and then drove off. UNLAWFUL WOUNDING, 160630029, 2400 block of S. Kenmore Street. At approximately 12:00 p.m. on June 30, two vehicles were involved in a minor accident. As the drivers were exchanging information the suspect returned to her vehicle. The victim attempted to prevent the suspect from leaving by standing in front of her vehicle and was struck. Medics arrived on scene and the victim refused transport to the hospital. Warrants have been issued for reckless driving, unlawful wounding, and hit and run for Brunilda Lopez, 50, of Montgomery MD.